We’ve all been there. Was it really only 364 days earlier when you were just wrapping up the last big party? Guests gone, presents unwrapped and a child beginning to come down from a crazy sugar rush, you were probably breathing a sigh of relief. But the earth has gone around the sun again, and that means it is time to plan your child’s next big birthday party. In a time when some parents are spending more on their five year old’s birthday party than the average wedding, it can be exhausting to keep up with the Jones’. Bouncy houses, facility rentals and expensive gift bags are the latest in the trend of impressive children’s parties. 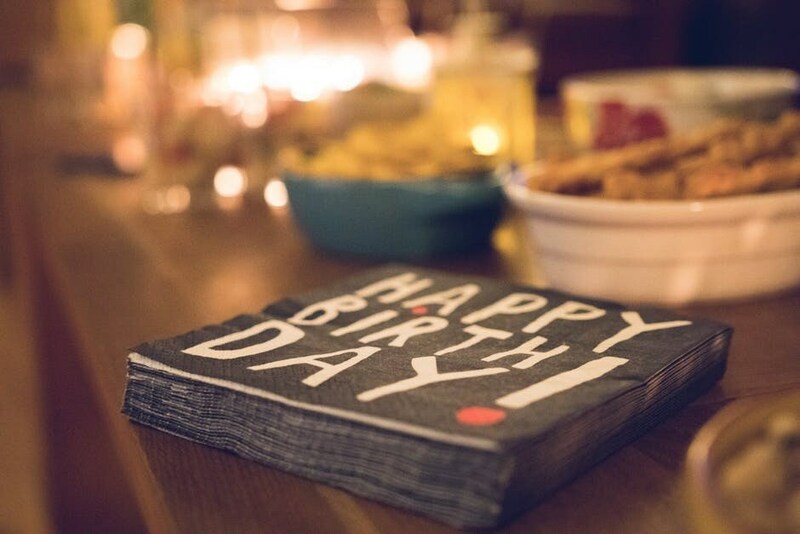 So we thought we would chip in with a few of our own self-proven ways to plan the most epic birthday party your child will ever have- Montessori style. When I was in high school, I went to my prom both junior and senior years. My junior year, my best friend’s mom set up a tent in the backyard, unpacked some folding tables, threw a table cloth on and had all the parents bring a dish to share. There were flowers picked from her garden and lemonade served in plastic pitchers. My senior year, we went to a friend’s mansion where they served us all on china dishes and our juice was poured into wine glasses. We were transported to prom by limo and the after-party was catered. Of course fancy things are fun, but to this day the low key prom celebration was one of the most fun nights I have ever had. You know why? Because the relationships and attentiveness from those closest to us will always trump the monetary gestures. You can spend an arm and a leg on a kid’s band, bouncy house, petting zoo or fancy food, but in the end, your child will enjoy themselves just as much at a backyard party with hotdogs, juice and a slip and slide. Yes, we give you permission to be selective! We often field questions asking if feelings will be hurt if someone doesn’t invite their entire class to celebrate a birthday. Our guidance? Understand who your child is closest with and invite them. In a Montessori early childhood education, we work day in and out with each child on their social and emotional education just as much as their cognitive education. This provides another great opportunity for you to reinforce these concepts by having a discussion with your child about the importance of subtlety. You may be asking, “My preschooler? Subtle? You must be joking…” We aren’t suggesting your child can’t talk about their birthday party in front of those who are not invited, it is an exciting day! However, you can use this as an opportunity to help your child explore feelings, empathy and their peer’s perspective. At this age, many children are still nappers. So if you throw your child’s party from the hours of about 12:00-3, you will most likely be dealing with very cranky children! Typically, the best times to throw a party for children between the ages of 2-5 are somewhere in the timeframes of 9:00am-11:30am or from 3:30pm-7pm. You may feel like you need to be the hostess with the mostess- constantly moving, checking food bowls, entertaining adults and cleaning up messes. However, this is a day to celebrate your child and it is important to be present for them! Take a few pictures for the album, then put away your phone. Don’t stress about everything that could go wrong, or the temper tantrum your child just threw. (We can guarantee that every other parent has been there in the past 24 hours.) Be your child’s calm, guiding force and make it a day to celebrate and embrace both the good and challenging aspects of their personality, being fully present for it all. If you really want to sneak a peek into your child’s life, take a page from a Montessori training book and observe! Set a timer for five minutes and challenge yourself and the other parents to watch the children interact, without interceding. If any come to you with an issue, guide them to a solution by asking questions such as, “what do you think you could do to fix that?” Observation is a powerful tool both inside and outside of the classroom and you will be surprised at what you can learn about your child and their friends by being fully present. Odds are, you aren’t a fan of making gift bags and other parents aren’t a fan of figuring out where to put the newly acquired objects from the gift bags. If you really want to give something special to each guest? Help your child write a note for each of their invitees describing their favorite qualities about their friend. Let them decorate the envelope and hand them out at the end of the party! It’s a great keepsake and a wonderful opportunity to teach your child kindness. 6. Let Your Inner Kid Shine! Can you remember a time that your parents let loose a little bit and acted like a kid? I sure can! I remember because it was such a treat when my mom would “break the rules” and do something like play with water guns inside the house in the middle of winter. It is important to allow your children space to be independent with their friends, but it is also fun to loosen up and have some fun right along with them and the other parents attending. This is where you can take Montessori’s lead and follow the child. Are the kids drawing with chalk? Get on your hands and knees and contribute to their artwork. Playing tag? Start them out by including the adults before taking a break to relax. Are they having fun entertaining themselves? Let them enjoy their independence. Find the balance and not only will your child remember the day fondly, but you will probably enjoy it a lot more too. So there you have it. Six great tips to help you throw an epic birthday party for your child. Think we missed one? Comment below and we will add it in!